Old guttering causes leaks and damp. We use the latest products including Aluminium Guttering to ensure a long life as well as delivering a spectacular look. 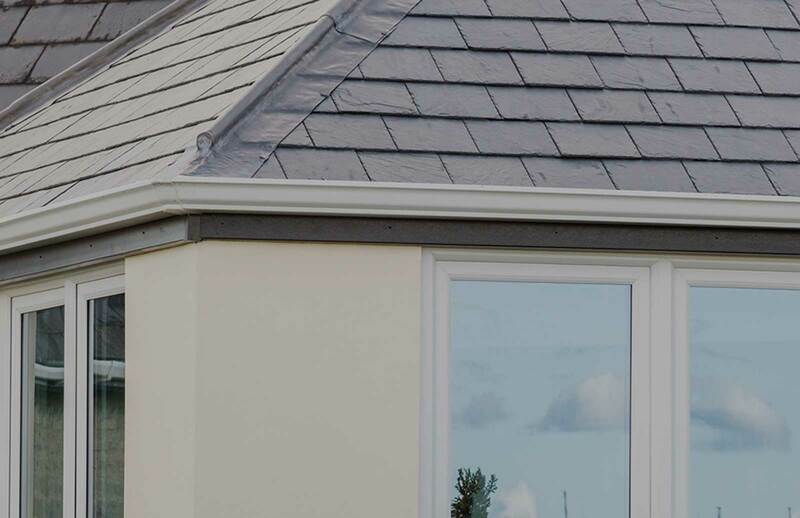 Seamless Aluminium Guttering is an attractive 'Ogee' profile in keeping with modern and traditional properties, all the brackets are hidden to give a streamlined seamless look and available in a large variety of colours, including black, white, brown, grey and cream. We find this compliments our Orangery work which gives the fascia board area options as to whether we attach coving to give a more ornate finish, it also allows us to create a step within the fascia board for lighting ideas. Learn More About Aluminium Guttering. Advantages of powder coated seamless Aluminium guttering over PVC guttering. A pair of semi-detached houses fitted with conventional PVC guttering would have 16-20 joints whereas with powder coated seamless Aluminium guttering the same pair of houses could have as little as 4 joints, thus reducing the possibility of water leaks. Inspection or maintenance of your roof sometimes requires a ladder being placed against your guttering, Seamless Aluminium will withstand this weight whereas conventional PVC products are liable to crack or buckle. We are currently one of the only companies in Cardiff and the South Wales area to supply and install Seamless Aluminium Guttering. We’re here to help and advise you on the right Orangery, Conservatory, Windows and Guttering for your home. We’re just on the other end of the telephone or you can use this form to contact us.